This year’s Google I/O was undeniably one of the more interesting and fruitful Google gatherings that we’ve seen for some time. In the middle of the plethora of announcements made during the keynote we managed to get an insight into Project Volta, Google’s latest internal crack at singling out a weakness within its Android platform and fixing it. Last year it was Project Butter that stole the limelight by attempting to make animations within Android run at 60 frames-per-second. This time around the Volta team will concentrate attention on various aspects of Android in an attempt to improve battery life. The good news? Early investigations into Android L suggests that the hard work is proving fruitful. As part of any improvement process it’s always important to investigate and understand the current shortfalls that are being experienced. As ArsTechnica points out, Google found out that the embodied effort of waking the device up for just one second from standby caused the Android phone or tablet to lose two minutes of available standby time. As an example of Google attempting to put right that shortfall it has produced a developer accessible API known as JobScheduler, essentially allowing developers to batch together unimportant requests to preserve battery life. Of course, the changes that are making the difference within Android L run deeper than just providing new APIs to developers. 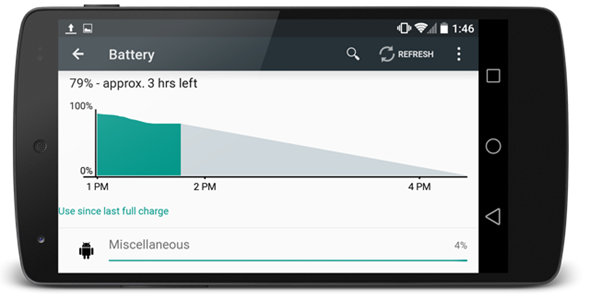 A host of new power tracking capabilities were unearthed as part of the Battery Historian software that Google created to visualize the processes and apps that were taking a negative toll on battery life. On a more technically intricate level Android L also makes the move across to ART in order to greatly increase power efficiency when compiling applications. Changes for changes sake don’t help anyone, but these internal amendments definitely seem like they will make a significant and notable difference to end-users. 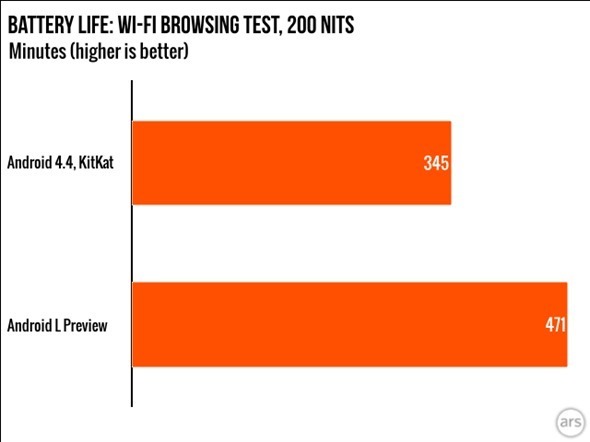 A single device running Android 4.4.4 and then flashed to an early preview of Android L then put through the same Wi-Fi browsing test showed that Android L has thirty-six percent longer battery life over the latest iteration of KitKat. When running Android 4.4.4 the device managed to browse over a Wi-Fi connection for a total of 345 minutes before finally being depleted of power. The same device, running Android L, managed an additional 126 minutes under the same conditions. 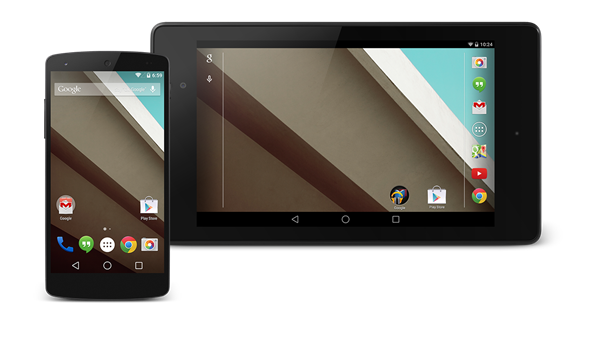 We’ll have to wait to see what the final release of Android L offers but early indications suggest that Project Volta has been an extremely worthwhile venture.